PROFITEZ DE LA TENDANCE DE L'ANNEE avec ces boules ORBEEZ multicolores. 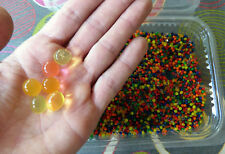 NOS ORBEEZ PROVIENNENT DE NOS LOCAUX EN FRANCE ET NE SONT PAS EXPEDIES DE CHINE OU DE HONG KONG. Les boules font environ 1.2 mm de diamètre, plongés dans l'eau elles multiplient leurs diamètres plus de 10 fois! 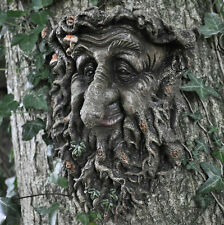 Treant Face Garden Wall Plaque. Treants appear to have been inspired by the talking trees of many of the world's folklores, as well as the Ent from J. R. R. Tolkien's world of Middle Earth. Treants are based on Ents from Tolkien's work. Complete with a bell at the bottom of the chain & a hook for hanging at the top. A beautiful rain chain decoration for the garden. Shelf hanging Gargoyle, goblin gremlin©. These are quality products at a value price. Shelf depth 10cm (4"). Depth: 17cm (7"). Inspired by the great magical woodland and forests, perfect for resting up against a tree or rockery in your garden. Why not have it in the house, against a skirting board or you could hang it on the wall with the hook on the back. N.1 LAMPADINA COLORATA LUX COLORS SENZA FILI. N.1 LAMPADINA LUX COLORS. Una divertente lampadina led multiuso senza fili che puoi appenderla dove vuoi senza doverla collegare alla corrente infatti basta tirare ilcordino e si ottiene una luce per svariate ore. Vivid Arts Pet Pal Cat Kitten Ginger ---A gorgeous resin Ginger Kitten! Each resin Kitten comes in a cardboard carrier with wood shavings in the bottom. ---While quite docile creatures, Vivid Petpals can be extremely loyal, lasting for many years if you look after them well. ---Most of the time, they will be quite happy sitting on a windowsill or just guarding a corner of your garden (and they won’t run away). ---It is however a well known fact that Vivid Petpals do not bounce so please be careful when handling your new friend! ---Dimensions: ---Length: 15cm ---Height: 20cm ---Approximate size. Miniature Hobbit, Pixie, Elf & Fairy Door. 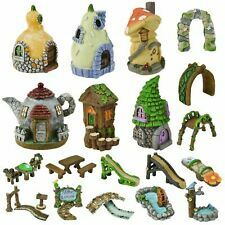 A beautiful miniature garden fairy door in fantastic detail. Each piece is individually hand painted and finished to a very high standard. This size is perfect for sitting up against a skirting board in the house or even out in the garden. Pots géotextiles Root Pouch avec poignées x 2 pièces - 39 litres (dispo en 20, 78, 246 et 378 litres). BOXER LINE MARRON (350g/m²). Parfait pour la culture Outdoor. Capte la chaleur et résiste au froid. 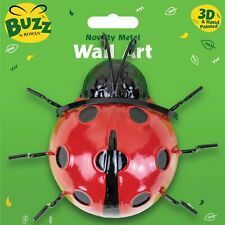 Perfect for garden decor, but also suitable for indoors. This cute and eye catching mushroom house is a magical and mystical addition to any garden. They can also be used indoors! Made from a stone polyresin mixture, they are weighty, but still can be fragile - so be careful when placing them! Approx Size - 70cm(H) x 30cm(Dia). Built by the master masons of the dark ages they show the style & decoration of the age: the vaulted ceiling, the spire, the tower, the stained glass windows and the gargoyles. Originally an embellished water spout leading from a gutter the gargoyle appears throughout these churches, outside and in: high on ceilings, on the capitals of columns, at the doorways and on bench ends. These are quality products at a value price. for more sets of Face plaques including the Oxford Grotesques and our Hear, See, Speak no Evil and Bogies sets. Height: 13 cm/5". Pots géotextiles Root Pouch poignées x 1 pièce - 246 litres (dispo en 18, 30 39, 56 et 378 litres). Parfait pour la culture Outdoor. Capte la chaleur et résiste au froid. Lavables donc réutilisables des dizaines de fois. Three Beautiful and realistic Metal Poppy garden stakes suitable for inside or outside Approx size: each, stake 50cm, flower head 10cm Skilfully made by Indonesian artisans These poppies would grace any home or garden/ remembrance garden Would make a great gift. Free delivery to Uk mainland Please note that each item is hand made and individual, therefore may differ slightly to the one pictured. The 'branch' simply sits in the cup at the top of the stake. Stake plus balancing piece height: 128cm (50") approx, width 55cm (22") approx. A great gift for all robin lovers! Fairy Faerie winged sprite stone home or garden ornament statue 29cm/11"
Fairy statue, faerie winged mythical spirit. frost proof stone, aged sandstone colour finish. These are quality products at a value price. Cliff Hanger. Or copy and paste the link below and put it in your browser. Now they are made by perfect moulds which leave great detail and very few imperfections.
" Maße und Farbe Wählbar "
These lovely butterflies are a cost effective way of adding a lot of colour and vibrancy to any part of your living space you choose! View Our Categories. The Caterpillar is hand made in Devon UK using a specially formulated reconstituted stone to enhance the strength and durability of the piece, and finished using an olive-green stain which really lifts all the finer details that has been hand crafted by the designers at Devonshire Stone. Set of TWO cute mischievous climbing Cat Pot Hangers. Weatherproof resin makes these ideal for either indoor or outdoor use. Butterfly width 35.5cm (14") approx, height 32cm (12 1/2") approx. 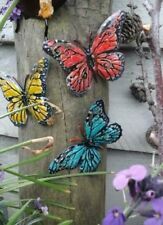 Set of 3 Metallic Butterfly Hanging Garden Ornaments Colours: blue, orange, purple Lightweight garden wall ornament Metallic coloured metal The ornament hangs from a chain Dimensions: Height approx 15.5cm, width at top of wings approx 22cm, width at bottom of wings approx 17cm. 1 x 37cm BREIT (mit Henkel 44cm), 28cm TIEF, 19cm HOCH UND 1x 34cm BREIT (mit Henkel 42cm), 26cm TIEF UND 17cm HOCH UND 1 x 30cm BREIT (mit Henkel 36cm), 23cm TIEF, 16cm HOCH. WICHTIG: DIE WANNEN SIND NICHT HUNDERTPROZENTIG WASSERDICHT. These are quality products at a value price. weight: 5.5kg. strong wire hanger.